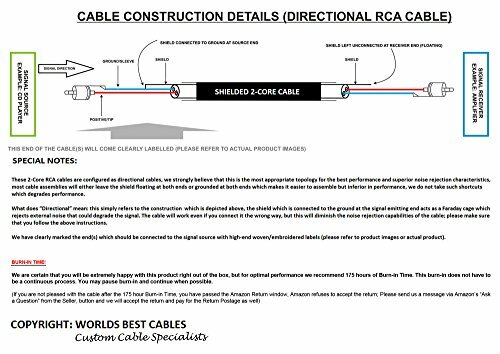 This is a custom built cable assembly, made by WORLDS BEST CABLES (WBC). 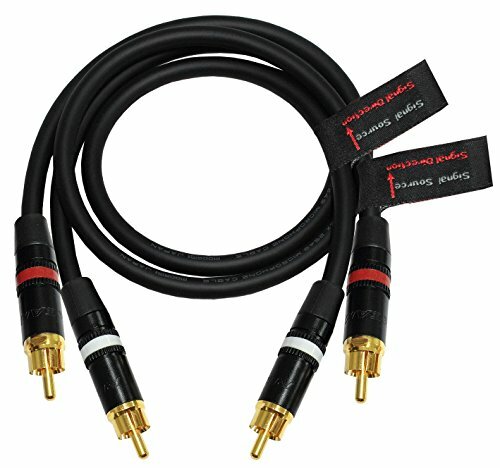 This cable assembly is made using the Mogami 2549 wire and Neutrik-Rean NYS373-2 (Red) & NYS373-9 (White) Gold RCA Connectors. 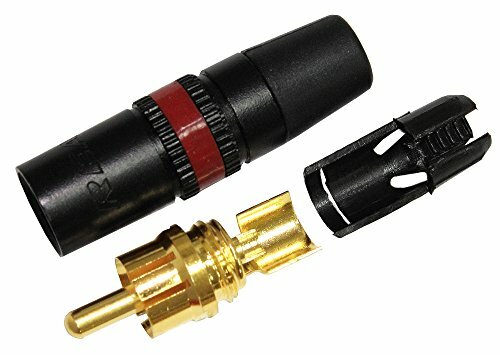 We at WBC always make world-class custom-built cable assemblies using many of the leading cable and connector brands, if you are unable to find the length and type of cable you are looking for, please feel free to contact us, we will strive to assemble the required cable for you. IMPORTANT: Directional Topography reduces EMI noises to a point of non-existence (please refer to the images for further technical details). – We are certain that you will be extremely happy with this product right out of the box, but for optimal performance we recommend 175 hours of Burn-in Time. This burn-in does not have to be a continuous process. You may pause burn-in and continue when possible. (If you are not pleased with the cable after the 175 hour Burn-in Time, you have passed the Amazon Return window, Amazon refuses to accept the return; Please send us a message via Amazon’s “Ask a Question” from the Seller, button and we will accept the return and pay for the Return Postage as well)This is a custom built cable assembly, by WORLDS BEST CABLES (WBC). 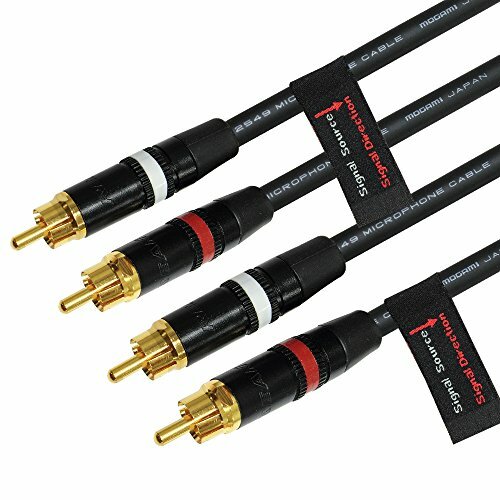 This cable assembly is made using the Mogami 2549 wire and Neutrik-Rean NYS Gold RCA Connectors. 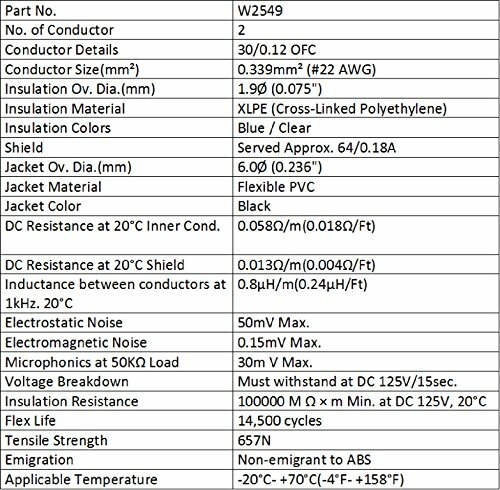 We at WBC always make world-class custom-built cable assemblies using many of the leading cable and connector brands, if you are unable to find the length and type of cable you are looking for, please feel free to contact us, we will strive to assemble the required cable for you. The brand of wire we used for this custom cable assembly: Mogami, one of the most sought after Pro cable brands, preferred by major recording studios and leading sound engineers around the world. 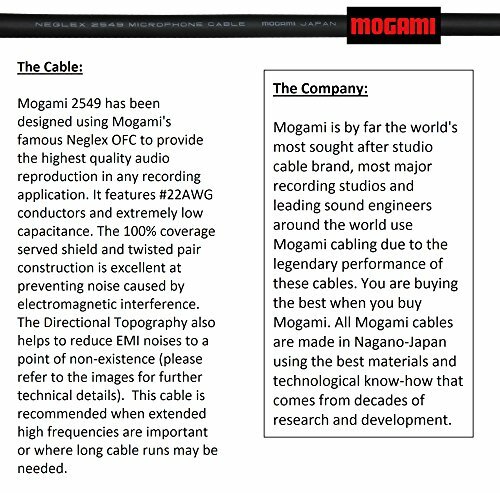 All Mogami cables are made in Nagano – Japan using the best materials and technological expertise of decades of R&D. 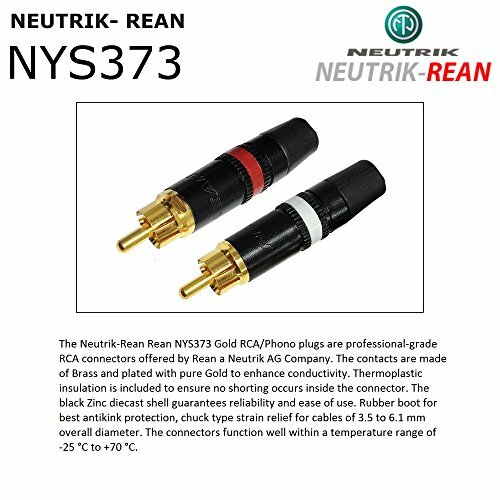 The brand of connector we used for this custom cable assembly: Neutrik-Rean NYS373 RCA/Phono plugs with Black die-cast body are high-end, professional-grade RCA connectors. Gold plated Brass contacts enhance conductivity. Insulation prevents any shorting inside. Rubber flexible boot grants best strain relief. All our custom made cables are professionally soldered with a Proprietary 4% Silver solder blend; especially developed by WORLDS BEST CABLES, we also use a specially developed, Proprietary Nitrogen-Assisted soldering process that is unique to us, which exceeds the highest industry standards, the overall integrity of the solder joints are greatly improved in comparison to traditional soldering processes. These are custom made cables lovingly assembled by WORLDS BEST CABLES, we offer the largest array of custom built cables in the market, we carry all the major cable and connector brands. We have served millions of customers with quality assemblies for many years – This sale is for a pair of ‘directional’ cables, each cable is 1.5 Foot long (2 cables for left and right channels).